One of the perks of being an author is twisting preconceived notions of good and evil. In Exterminating Angel, Lucifer plays a mentor-type role, helping Zaphkiel and the others as they search for two pentacles – one gold and the other silver – before the sun demon Sorath finds them. The Devil not only protects his friends, he sees to their welfare, giving them jobs and places to live. In contrast, Zaphkiel’s angelic boss Ophaniel not only usurps his position as leader of the Throne angels, he has Zaphkiel’s lover, Caliel, arrested and executed. Ophaniel covets the pentacles, and makes Zaphkiel a deal. If he brings him the pentacles, he’ll forgive and forget everything. Zaphkiel knows he can’t trust Ophaniel, and any deal he makes with him is subject to the archangel’s whims. 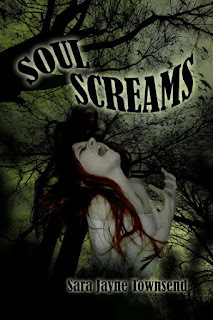 When he kills a young man and unwittingly unleashes Sorath upon the city, he realizes his situation is even more dire. This is all Ophaniel needs to threaten him with execution unless he finds and turns over the pentacles. Both Ophaniel and Sorath seek power, although for different reasons. Sorath wants to destroy the universe. Ophaniel wants to be equal to the high-ranking Seraphim. Caught in the middle are two angels, one who doesn’t even know who he is. 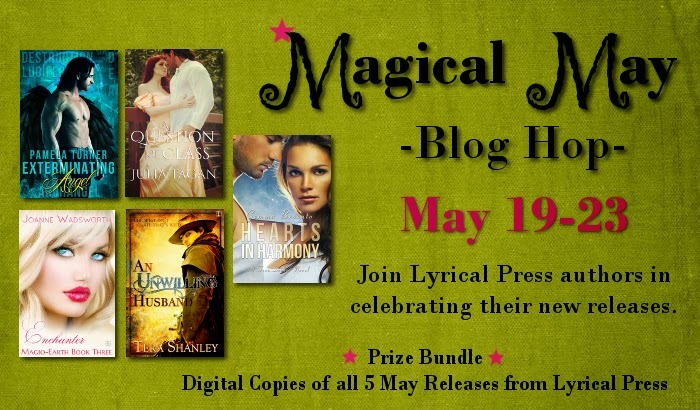 Please check out the Magical May Blog Hop posts from these other Kensington/Lyrical Press authors. Enter for a chance to win all five digital books from the May 5th release. Good morning, Pamela and happy May. I haven't seen the trailer for Exterminating Angel before. I loved it. I'm delighted to be in such great company this release month. That's a cute book trailer. I'm reading Exterminating Angel now, and loving it. Love the trailer!! Congrats on your release of Exterminating Angel. Really enjoying this blog hop, too! Awesome trailer, a gorgeous cover - you've got it all going on! So happy to be doing the blog hop with you. Love the trailer Pamela! So exciting that our books are finally released :D Congratulations!! Great trailer, Pamela! That must really help to spread the word about your book release. Have you started working on your next book yet? I told Pam I would talk about the locally famous haunted house (McPike Mansion, Alton IL) down the street from where I live, but I changed my mind. 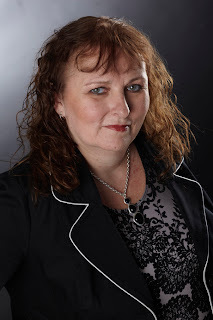 Instead, since I write romance and am celebrating the release of my debut book, The Bull Rider’s Brother, I’m telling you the story of the ghost who tried to save me from a bad marriage. One day, I met the man who would become my first husband. He worked days at the same factory. We started dating, mistake number one. SHORT STORIES: WRITING AS THERAPY? My first successes in writing were with short stories. After a couple of attempts at overlong pieces that were bogged down with unnecessary detail, I decided to change tactics and try my hand at short stories. It wasn’t necessary to put pages of info dumps in a short story (one of my early sins in writing novels). It wasn’t necessary to explain a character’s life story to a reader. A short story wasn’t so much a life history as a snap shot – a moment in time. All the reader needed to know about a character was what was relevant to that moment in time.